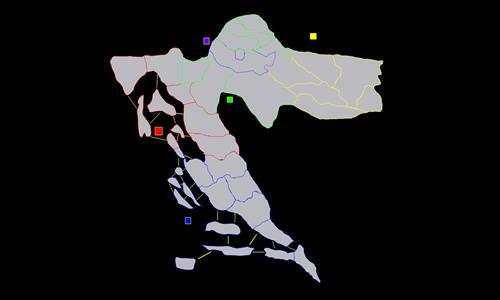 Improved version of Map of Croatia. Review by Yeon on 1/16/2013. There are two connections missing in the north, from Varazdinska zupanija. Review by Crveni Vuk on 1/1/2013. Review by DarioGaming_HD on 9/8/2018.